Are Expectations Too High For Ha Ha Clinton-Dix? Being drafted in the first round of the NFL Draft is a dream of all prospective professional football players. Hearing your name called out on Day 1 of the NFL Draft, in front of thousands in person and millions watching on TV, is the apex of one’s burgeoning football career. It is the next step in the dream of playing professional football, a dream which had begun years prior. Ha Ha Clinton-Dix, the Packers’ first round selection, had the same dream. His selection at number 21 in the first round marked the culmination of his college career, and the beginning of the realizing of his dream of playing in the NFL. Along with the joy that comes with being drafted in the first round of the NFL Draft comes certain expectations placed on any player selected in the first round. First round draft picks are expected to make a difference the second they put the pads on. There is a reason the team has made such a large investment in the player, so the time to begin making an impact should begin immediately. The same holds true for Clinton-Dix. As a first round draft selection, he is expected to make a difference from the second he hits the practice field at Ray Nitschke Field. The issue with this is what exactly are we expecting from Clinton-Dix as a rookie? 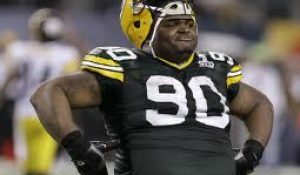 Since Nick Collins’ career was tragically cut short due to a serious neck injury in Week 2 of the 2011 season, the Free Safety position for the Packers might has well have been renamed “Free Touchdown”. It was almost as though Green Bay was playing a man short on defense every single play. 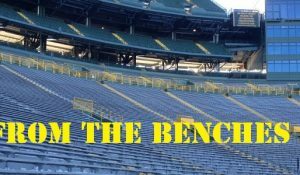 After the disaster which was the MD Jennings era for the previous two seasons, it will not take much for Clinton-Dix to upgrade the Safety position for the Packers. After witnessing two seasons which saw repeated lapses in pass defense, tackling skill, and essentially zero threat of producing a turnover deep down the field, anything has to be better than the Burnett/Jennings duo manning the middle of the field. Enter Clinton-Dix, who has already been named the savior for the defense. The one person who will fix all that ails the Packers defense and propel them back to Super Bowl glory. That is a hell of a lot of pressure to place on a player who has yet to even practice for the Packers, let alone play a down for them. It will be difficult for Clinton-Dix not to be an improvement over MD Jennings. His first interception will be a 100% improvement over the total that Jennings had in all of 2013. Any willingness to take a proper angle when trying to tackle someone will be much appreciated. 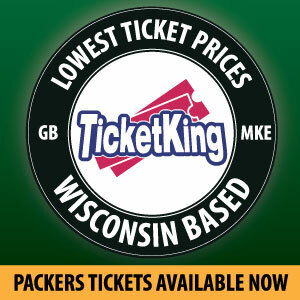 Any correct coverage will be celebrated as a victory by the green and gold faithful. Yet those who are expecting the second coming of Nick Collins, a multiple pro bowler who had just entered the prime of his career when it ended, on a rookie may be asking a little too much. It cannot be denied that Clinton-Dix had an impressive college career. But as is the case with every first round pick there will be growing pains. There is going to be a period of adjustment from the college game where he excelled to the pro game where he is just starting out. 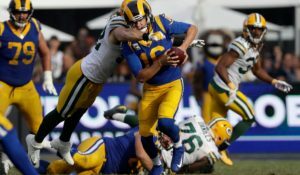 Before projecting Clinton-Dix will have 200 tackles, 30 interceptions (all of which will be returned for touchdowns) and be named Rookie of the Year and MVP, we all need to remember he is a rookie. As long as he improves the play of the Safety position for the Packers, that should make his first season in the NFL a success. 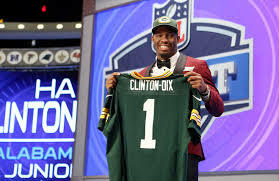 Ha Ha Clinton-Dix is living out his dream following his being drafted in the first round. Perhaps too many Packers fans are also dreaming with their expectations that they have placed on the rookie. This entry was posted in Packers 2014 - 2015 Season and tagged 2014-15 season, Ha Ha Clinton-Dix. Bookmark the permalink. I’m tired of busts for first round picks… if this guy is simply a solid starter i’ll be happy. if he is below average or horrible i will be raving about TT’s failures in the first rounds. OK, so explain what you mean by below average. How much time are you giving before declaring a 1st round pick a success or a failure? It is a mistake to have too high of expectations for Clinton-Dix. He is a rookie 1st round pick, so that makes the expectations high. But he is playing in Dom Capers scheme, which also saw Troy Polamalu not start a single game as a rookie. That’s always been the Pitts way to sit rookies, not so much w/ the Packers. I can see the Packers starting Clinton-Dix, but I wouldn’t be disappointed if Burnett and Hyde are the starting Safeties either. If Clinton-Dix is the starter, it’s doubtful he’ll be an immediate impact player. At best if Clinton-Dix is starting we should only expect him to be competent and reliable, not an impact player or playmaker. Capers scheme is complex and takes a good year or more to learn. Along w/ learning the NFL game, rookies for Capers should not be expected to start, much less be impact players. The expectations for Datone, Worthy, Perry and Neal, even Burnett were to high. Its important to remember that it took Collins and Bishop until year 4 to be impact players.